Have you ever tried to run ads on YouTube and been frustrated with the quality of traffic? It’s easy to get millions of views, but let talk about how to focus on quality rather than volume. There are two ways to reach people on YouTube. You can force them to watch your video, sometimes with the option to skip it, which is In-Stream. This is akin to a traditional commercial on TV. The other option is to use a Discovery ad. This is a great way to measure interest because in order to watch your video ad, the user must click on the video ad. So if you have a short video commercial that follows a typical marketing pitch, ending with a call to action, it would make sense to run the video as an In-Stream ad. If you have something that is unique, informative, or helpful it would make a better Discovery ad because it would attract clicks based on its natural appeal. This is an In-Stream ad where you’re forced to view at least some of it. This is a Discovery ad that shows up along side what you’re watching. Now that you know the difference between the different types of video ads that you can run, let’s talk about how to get better quality views on those videos. Let’s say you sell car parts. A great way to reach the best audience is to use placements on specific automobile-related YouTube channels. The best way to find some channels would be to do a search for YouTube channels around car repair, auto shop, mechanics, and “how to” videos about vehicles. Find a handful of channels to use and add these as placements on one ad group. No other targeting, just use that one ad group for testing those placements. Beyond individual video and channel placements, you can also target videos by their content and you can also target the users watching videos on YouTube. There are multiple ways to target the content of a video. One is placements as we already discussed. Another is using keywords to target the subject of the videos that your ads will show on. When you choose keywords, be very specific, and break similarly-themed keywords into unique ad groups based on mirco-subjects. The idea is to monitor which subject performs the best and monitor that data at the ad group level. Another way to target content is to use topics. These are subjects that are predefined by Google. So rather than custom making your subject matter using keywords, you can use Topics to target specific video subjects. The other method of targeting is audience targeting. This is more about what the person themselves are interested in. We’re not that focused on what the video is about, rather, we’re more focused on who is watching the video. The options here include people with an affinity for a certain subject matter, and also people who are currently in the market for certain products and services. Going back to our example of a car parts sales, this would be great if you could dig into an audience that has an affinity for the automobile industry, or a user who was in the market for car repair, etc. Finally, it should be noted that remarketing is a great advertising strategy in general, and this includes remarketing to users on YouTube. Remarketing on YouTube is similar to the display network. 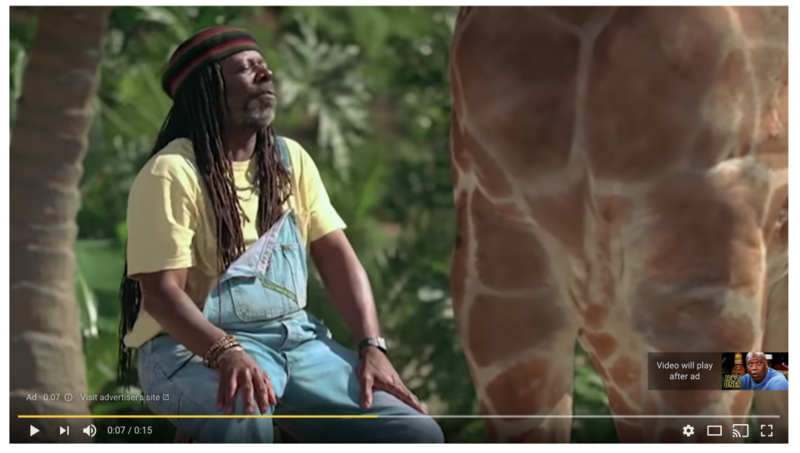 You make your ads (videos in this case) and show them to one of your remarketing audiences. A solid YouTube campaign is always a great compliment to go alongside a search campaign. I hope this introductory article on YouTube advertising helped you understand what options you have for your YouTube ads. For training, consulting, and Google Ads management feel free to contact me at my website.